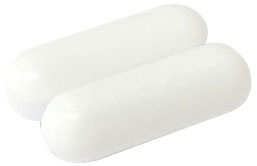 Octagon shaped magnetic stirring bars are particularly well suited for flat bottom flasks. Their shape mimics that of a flask and ensures complete mixing. Recommended for Ai magnetic heated stirring plates.